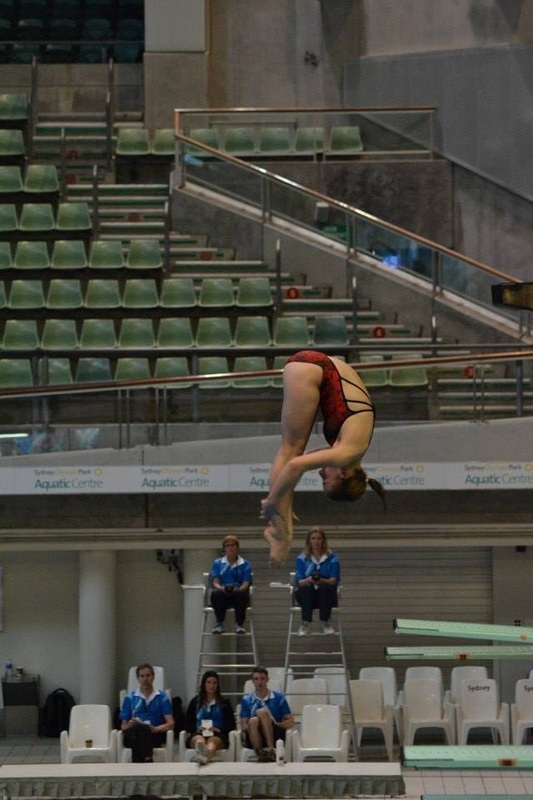 Shiori added to her awesomely successful year with medals at the Pacific School Games held in Adelaide in November! As always, cool as a cucumber, Shiori competed in five events and came home with a 9th in the 1 metre, a 4th in the 3 metre, a 2nd in the platform and a 2nd in the synchronised event. The Victorians won the Team event. Congratulations Shiori! announced. Congratulations to the following people! Box Hill and Aquanation Ringwood. 2016 will see Rosemary continue in her role of President, whilst Yasmin is taking a well earned break. Thank you, both, for your invaluable assistance. committee!! Thank you for your commitment!! We hope you find your time on the committee a pleasant and uplifting experience! time for both sessions to judge and mentor new judges. Save the Date!!!! Saturday 5 December 2015.
whilst the platform and synchronised events will be held at Aquanation, Ringwood. up. You can register to help on the event page. Pre-orders are encouraged, as it takes weeks to put these stories together. ﻿﻿﻿BUNNINGS BBQ FUNDRAISER A BIG SUCCESS! Whitehorse Diving held a fundraising BBQ at Bunnings Box Hill, Middleborough Road, Box Hill South on Saturday 12th September. So many volunteers! Thank you to everyone who helped. Special thanks to Beate, our organiser! The funds raised at this BBQ are going directly to our proposed dryland facility. ﻿﻿﻿NATIONAL JUNIOR ELITE CHAMPIONSHIPS SUCCESS! as she strives towards her goals. Diving classes will be held durig week ONE of the July holidays! Book now to reserve your place. Friends are welcome to have a dive during the New Diver sessions! NB: We are awaiting confirmation on some time slots - these are clearly marked, Please choose an alternative session in case some sessions are not available. on Sunday at the Pacific School Games Trials! had FUN competing! That's what its all about, folks! and other states of Australia. Best of luck with the future, Shiori! Congratulations to Pam Downing and Sarah Gardner for their outstanding performances at the 2015 Age Group National Championships!!!!!! as a result of consistent diving with good technique. Congratulations Pam! Click the BOOK TERM LESSONS button at the top of this page to book your Term 2 classes. NEW PROGRAMS WILL BE ANNOUNCED NEXT WEEK! Whitehorse Diving has organised a club discount if we buy club memberships in bulk (at the same time). So, if you are interested, please let us know via the button below. register a friend to come into YOUR session by registering them for a tryout and putting your name and the session you have invited them to in the "Previous Experience" box. The class itself is free, although there is a $5 charge for insurance. Remember the diving pool is deep - so they need to be able to swim comfortably in deep water. leading a full life outside the pool!